Color not only affects how you feel about your home, but it can affect the value of your home as well. There is no better way to make a fabulous first impression than by choosing the perfect siding color. When choosing siding colors, it's important to take the architecture style of you home into consideration. Some styles, like Victorian, may benefit from a palette of 2-3 colors; while others, like modern farmhouses really come to life with one color plus a trim accent. The architectural style isn't the only important consideration though. You will want to choose colors that you love and truly represent the personalities of those that live inside. After all, your siding color has the power to transform not only the look of your home but how you feel about it too. 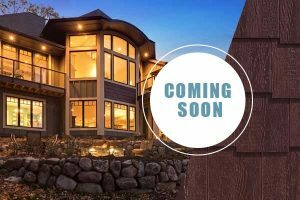 What's trending in siding colors for 2019? Blues tend to evoke a feeling of peace and calmness, which is why it's no surprise that soft blues have been a popular choice for home exteriors for many years. Times, they are a-changin' though, and complex blue siding colors are taking Pinterest by storm this year. These rich blue hues are generating conversations and helping homeowners create a bold yet down-to-earth look for their home. A complex blue siding works well almost any home, from craftsman to contemporary, and large or small. Style tip: Pair complex blues with natural accents that complement the surroundings of your home. 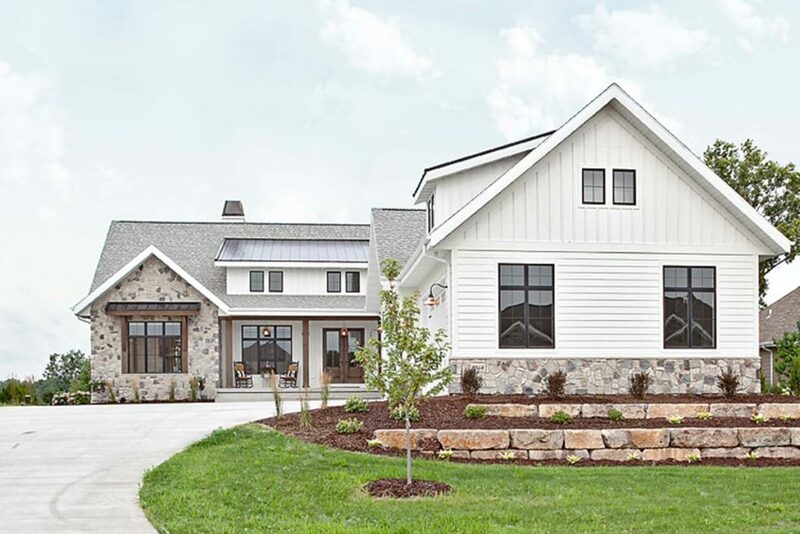 White truly never goes out of style but thanks to the popular modern farmhouse look, white siding is definitely trending. 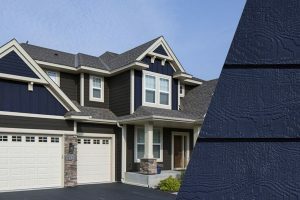 If white siding is on your radar but you fear a lackluster result, we recommend exploring different siding products like shakes, or board and batten. Combing different siding products will add depth and dimension to your home's exterior. Whether or not white is for you, we think you'll agree that white siding gives a home's exterior a romantic look that's truly timeless. Style tip: Pair white siding with contrasting accents, like dark trim, for a timeless choice that will provide major curb appeal for years to come. Various shades of gray have made their way back in style in recent years. But in 2019 homeowners are going dark and begging for moody grays. A moody, dark gray siding can help you go bold with home's exterior while still maintaining a sense of refinement. 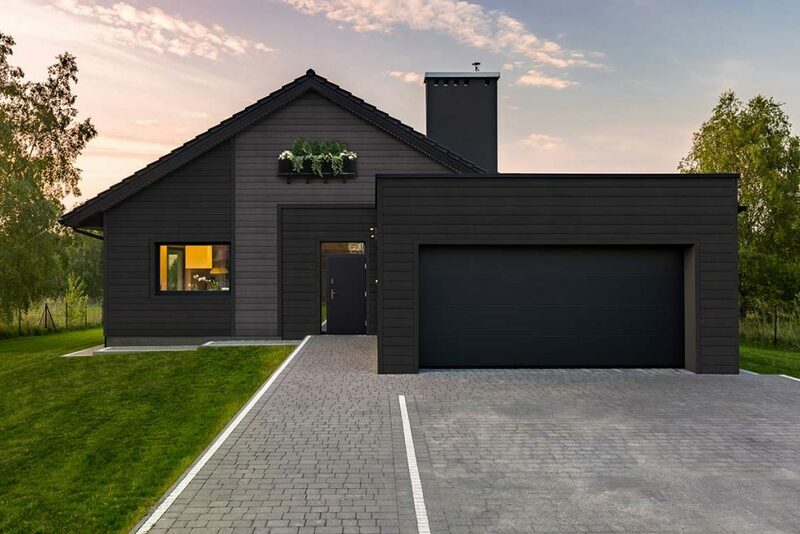 Dark gray siding adapts to a variety of different home styles including contemporary, mid-century and craftsman, making it a great choice for both new construction and remodeling projects. Style tip: Want to highlight the architecture of your home? 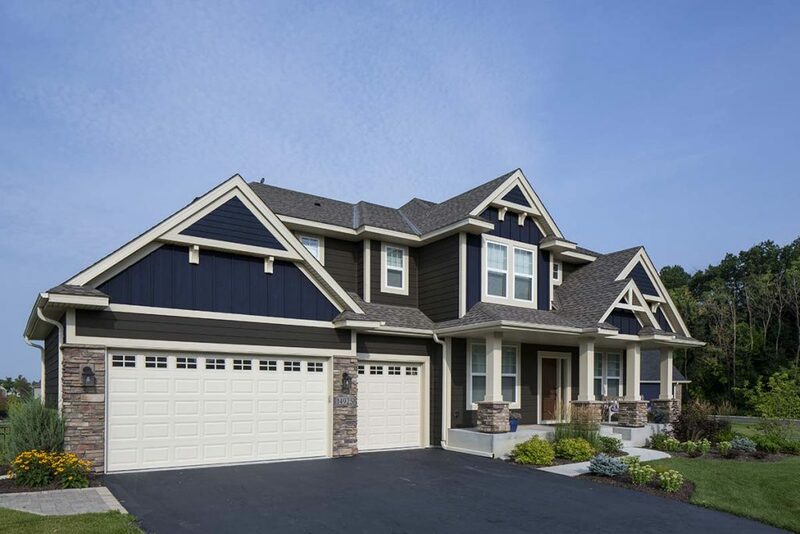 Pair a dark gray siding with lighter colored trim and let the lines of your home shine! Dare we say black may be the color of the year? Undeniably stylish, black is definitely having its moment and is a striking choice for your home's exterior. Black siding can accentuate a home's architecture by putting attention on the structure instead of the lines. But here's the interesting thing about black siding, it can actually help your home blend into its natural surroundings too! It's truly the color of magic. As an added bonus, black siding also easily pairs with other exterior elements like brick and stone, making it an easy choice for those that want to keep other existing elements. Style Tip: Black siding makes a strong visual statement on its own, so minimize your accent choices for a polished look. Color trends come and go, but what never goes out of style? Durability and low-maintenance. 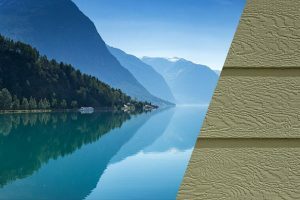 RigidStackTM siding, from Diamond Kote® Building Products, stands up to elements (including hail up to 1.75" in diameter) and is backed by a 30-Year No Fade Warranty. Feel confident your siding will look as beautiful as the day it was installed for many years to come. 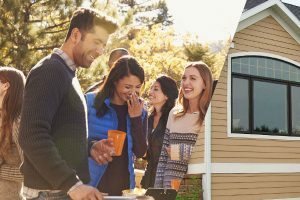 Want to see what these trending siding colors will look like on your home? 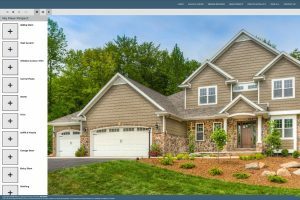 Upload a photo of your home into our Visualizer and find the perfect color for you!